How Do I Practice Mindfulness Meditation for Social Anxiety Disorder? Mindfulness meditation (also known as vipassana or insight meditation) can be helpful in learning to manage the symptoms of social anxiety disorder (SAD). The practice of mindfulness meditation involves learning to become aware of your emotions and thoughts without analyzing or reacting to them. This can be accomplished through guided meditation practice. Below are the basic steps to follow to begin a mindfulness meditation practice. In addition to these basic steps to get started, you might wish to read literature or take a course to learn more about the roots of mindfulness meditation, and why it can be helpful for your mental health. Mindfulness meditation can be practiced daily, either for longer periods such as 20 to 40 minutes, or as mini-meditations throughout the day. You can help yourself practice mindfulness throughout the day by placing reminders in your home or choosing specific triggers. Choose a time in which you will be free of distractions. Turn down the telephone so you won't be interrupted. Let your family or loved ones know that you need a certain amount of uninterrupted time for your practice. The heart and soul of mindfulness meditation comes with choosing a meditation script to follow. You can find everything from very basic scripts to those developed specifically for targeted problems. You might find that you experience difficulties when first learning how to practice mindfulness meditation. Perhaps you find it hard to concentrate, or that you're unable to relax. You might also find that your mind keeps racing, even when you try to slow down your thoughts. Know that these are normal worries in the beginning, and that things will improve with time. If you continue to have difficulties, consider some simple fixes like meditating for shorter periods of time, choosing a mantra to repeat to focus your mind, or learning how to note your difficulties without becoming focused on them. When you struggle, it just means that you need to stick with your practice; regular and consistent mindfulness meditation will help to strengthen your ability to overcome the initial problems that you experience. 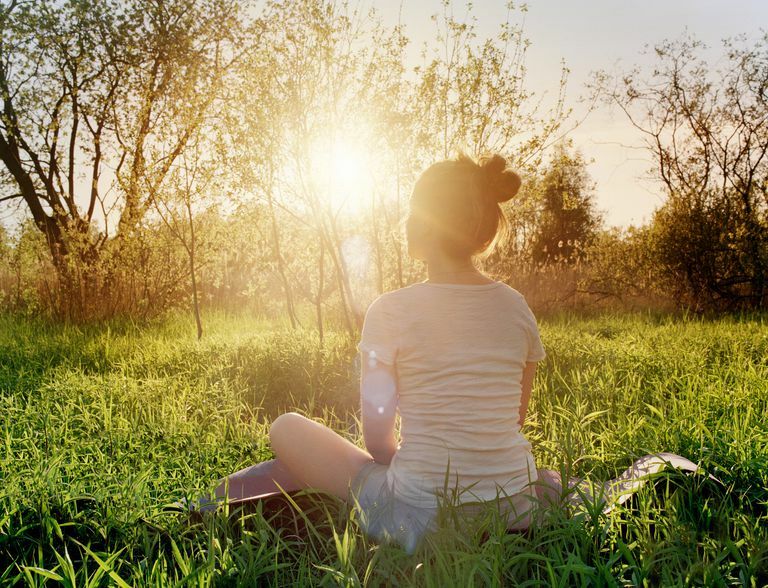 A 2014 study showed that state anxiety of participants was reduced when they meditated. This reduction was linked to the activation of three brain structures, the anterior cingulate cortex, ventromedial prefrontal cortex, and anterior insula. Activation of these brain regions was strongly related to anxiety relief, and confirmed that mindfulness meditation reduces anxiety by helping individuals to regulate their thinking patterns. This article shared some simple steps to help you on your way to learning the art of mindfulness meditation practice. If you are suffering with the symptoms of social anxiety disorder (SAD), regular practice will eventually improve your self-concept and ability to handle negative emotions. You will also learn how to better respond to troubling thoughts and treat yourself with more compassion. Kristeller, J.L. Mindfulness Meditation. In P. Lehrer, R.L. Woolfolk & W.E. Sime. (2007). Principles and Practice of Stress Management. 3rd Edition. New York: Guilford Press. Zeidan F, Martucci KT, Kraft RA, McHaffie JG, Coghill RC. Neural correlates of mindfulness meditation-related anxiety relief. Soc Cogn Affect Neurosci. 2014 Jun;9(6):751–9. Creswell JD, Pacilio LE, Lindsay EK, Brown KW. Brief mindfulness meditation training alters psychological and neuroendocrine responses to social evaluative stress. Psychoneuroendocrinology. 2014 Jun;44:1–12.